Hanuman is the true devotee of Lord Rama. Under the command of Lord Rama, he supervised the great war mentioned in the epic, Ramayana. He managed and motivated the monkey warriors, looked after Mother Sita, saved Lakshmana and helped Lord Rama win. Hence, his abilities ax a strategic master are, no doubt, matchless. The modern reader would learn about his amazing tail-safe tactics in this fine book. Readers of all age groups can get enlightenment by reading this book. However, managers, working women, management students and business-persons would find it exceptionally useful. 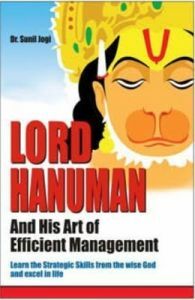 This book is able to present a new dimension of Hanuman's personality.